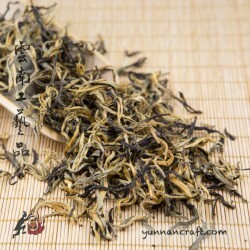 Ye Sheng Hong from spring tea leafs of old wild tea trees growing in Feng Qing area. 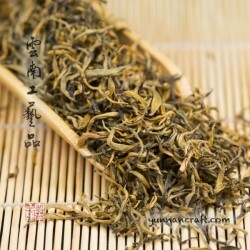 The big leafs need more time to release the liquor in the right richness. 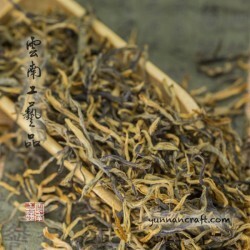 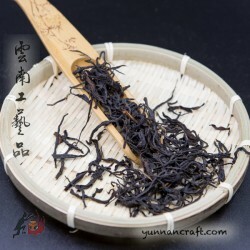 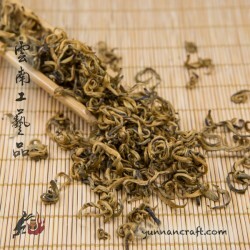 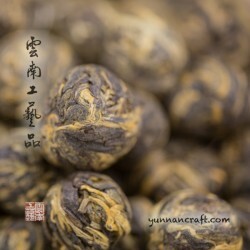 Along with the typical Ye Sheng sweetness and fruitiness there is slight smoky flavor / scent which is in perfect balance with those mentioned above. 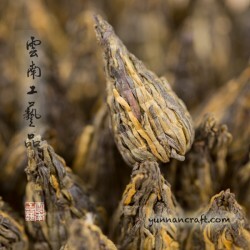 As the leafs come from older trees you might find some big stems or huang pian in it.